New body, old soul. 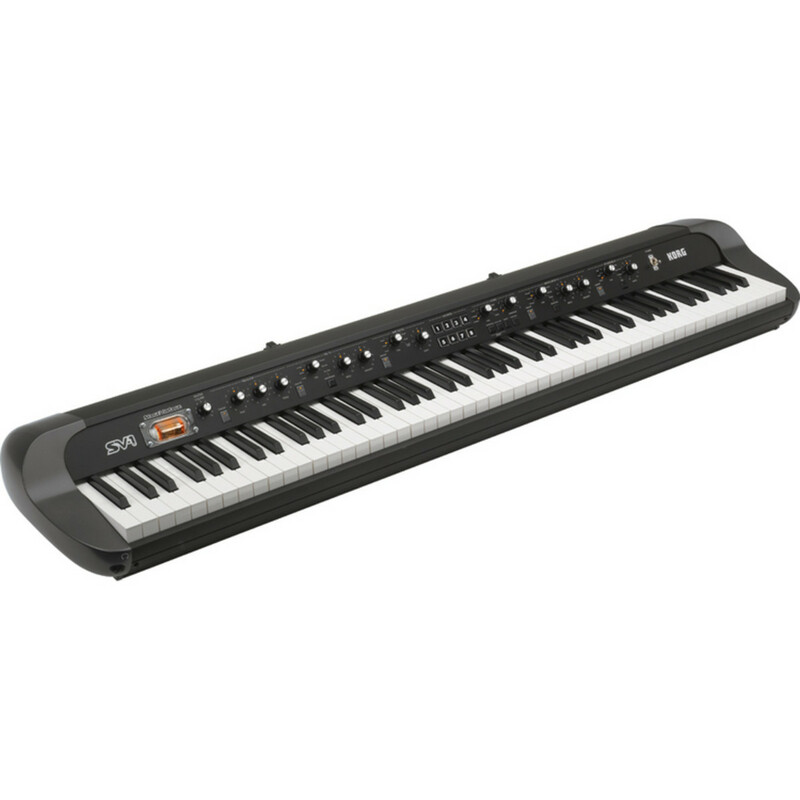 The Korg SV1 88 Note Stage Vintage Piano is designed to literally travel through time. Boasting in an incredibly timeless design. The SV 1 features all the instruments you ever learned with, right here, in this contemporary and compact instrument. Fully equipped with an extensive range of classic voices, from electric pianos, and acoustic pianos, to organs, strings, and synths. The SV 1 stage piano is engineered to faithfully reproduce both your modern and vintage sounds, all thanks to Korg?s incredible sound generation technology. Just imagine. Taking it right back and to the future! You can, with Korg's SV 1 Stage Vintage Piano. The stunning SV 1, first revealed in 2009, continues to grace the stages, studios and rehearsal spaces all over the world. Serenading the crowds with its unique frame, and total tone. Korg’s SV 1 is with an easily accessible front panel. Giving you total control of all your settings. The Rotary knobs are made with illuminated LED's to show the position of the knob, so you can store and restore your original settings. If you want to save and recall your settings, use the SV-1's eight car-radio style buttons to use your eight saved favourites. To save a setting, you simply adjust the controls to your preferred settings, then press and hold one of the Favourites buttons. And when the button flashes, press it again and the settings are now stored. Easy. The SV-1 features the well-known RH3 Real Weighted Hammer Action allowing for a natural, solid, responsive feel as you play. Meeting the demands of the traditional pianist. The keyboard is fully weighted, with real hammer action. Serving you the most authentic playing experience. As the lower register keys bear a heavier response to the upper register. The responsive hammer action ultimately delivers an expressive performance. Faithfully communicating even, the slightest nuances.